You'll hear from us shortly! 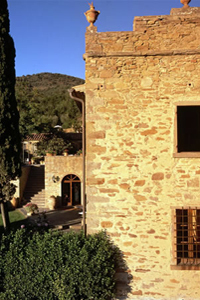 FOLLOW IN THE BOOK AND FILMS FOOTSTEPS LEARNING TO COOK CLASSIC TUSCAN CUISINE WHILE STAYING AT A SECLUDED DELUXE HOTEL SURROUNDED BY OLIVE GROVES AND VINEYARDS. On this Tuscan cooking class just three kilometres from the historical city of Cortona, famous for its hidden treasures and gorgeous landscapes, you will stay at the Il Falconiere – a small, luxury hotel in the heart of Tuscany. The estate boasts a beautiful spa, Baracchi Winery and a famed 1* Michelin restaurant. For many generations the estate was the Barrachi family house before being restored. The owners, Riccardo and Silvia Baracchi, manage the property and personally take care of the guests giving the hotel a warm and inviting atmosphere; like you were staying at a friend’s gorgeous, sumptuous villa. 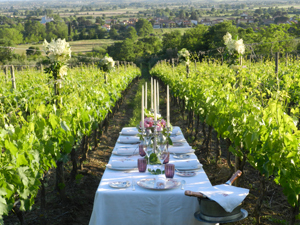 You will learn to cook traditional Tuscan recipes with Chef-Owner Silvia Baracchi or one of the other restaurant chefs. The cooking school is located in the charming house, where you can relax while getting to know the region. After making delicious bread, delectable starters and main courses, and enticing desserts, enjoy what you’ve created in a beautiful dining room. The cooking school will increase your natural love for food and provide you with the skills you need to translate this love into beautiful and imaginative cuisine. Fancy a Michelin Star cooking course on the Amalfi Coast instead? Click here to find out more!